Baransu is the Japanese word for balance. This pot is designed to signify the importance of nature to bring balance on Earth. 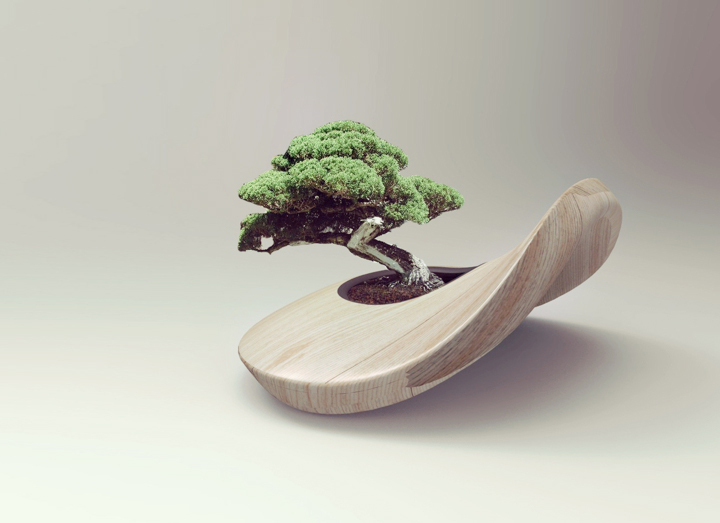 Without the Bonsai plant the pot would be wobbly and unstable, it is only the presence of the plant that brings balance to the design. The plant pot is made entirely out of faux wood. This project depicts the importance of natural resources to bring balance to nature.